When we started we didn’t have much of a roadmap and we relied a lot on journal articles, blog posts and our experiences as gamers, we eventually started to really need some more guidance. For this guidance, we leant very heavily on the work of Lee Sheldon (@lee_wpi) and a little later on the work of Matthew Farber (@MatthewFarber). Their books have been absolute touchstones for us. Lee Sheldon’s work, in particular, inspired many revisions to how our game ran. Unfortunately, Farber’s book came a little later in the peace. It is an excellent book though and I cannot recommend either of these books highly enough. Both are still being relied on constantly in our revisions. Our bible in this endeavor. Go for it, get these books ASAP if this is something you’re considering. If you only get one go for Sheldon but both are excellent. Almost four years into our flipped classroom practice we (my teaching buddy @jfcatto & I) decided that it was time to move beyond Flipped 101. We knew following our attendance at FlipCon 2015 that we wanted to move our students to Mastery Learning. We had dabbled in this before but hadn’t had much success; following FlipCon we felt we might finally have the tools. 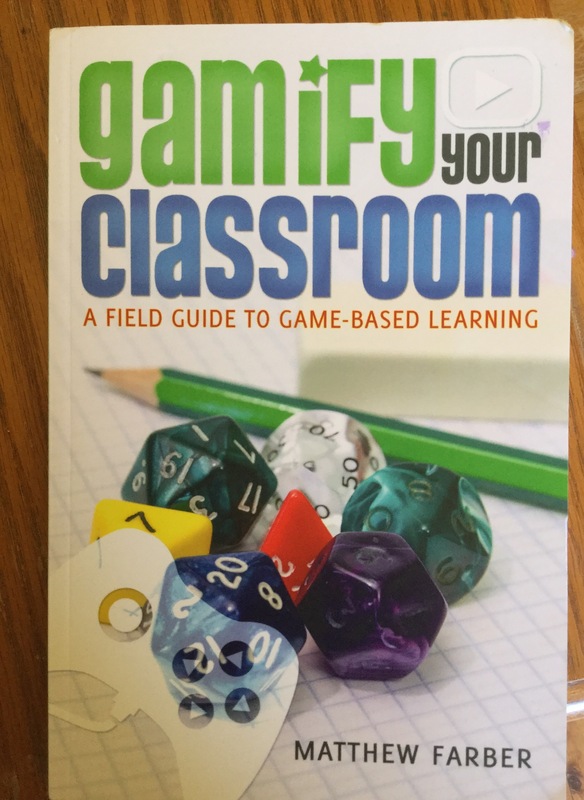 Eventually, we settled on Gamification as our key to Mastery. It made perfect sense to us as two men who’d spent way too much time gaming ourselves – I would learn much later while recording or podcast that John was a mad WoWer in times past. I’ll write more about why we decided on gamification in a future post but suffice to say the concept of beating bosses before you’re allowed to move on really appealed to the D&D nerd in me. Our school has allowed us to implement a cycle of Action Research. Usually my approach – like when I started flipping the classroom for the first time – is an all in, knock down the doors with enthusiasm kind of approach. Since we’ve started using Action Research as our main form of Professional Development we decided that to be a bit more objective on whether or not this has worked we’d run it as an AR project – this meant we needed to be a bit more conservative in our approach. 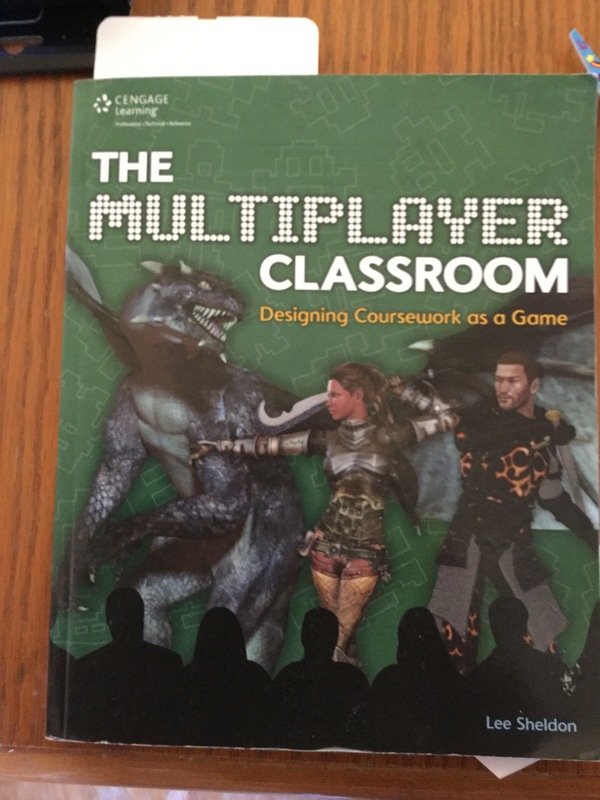 How did we gamify our classroom? It all is set up to look like an old-school RPG. As I said, I am a D&D nerd. I’ve always played D&D or some variant. Put simply D&D rules and all teachers should be playing it for lots of reasons – but more on that in a future post also. Casual games and casual gamers are a great trend -growing massively thanks to mobile technologies. What I feel makes them ‘casual’ is their lack of story and immersion. This is the opposite of what we want. We want something immersive with longevity. If this was to have the rewards we thought it would (and ultimately did) then it was going to need to go the distance. If you don’t want to invest in a long story at least come up with a theme (that’s what we did) and let the students tell the story from there. Stuck on a desert island/survival. Basically, it could be any adventure scenario. All we really needed was a hook to hang the curriculum from. The other reason we found it so appealing was that it lends itself to project-based learning as well. In fact, that was our original goal. We thought character development would be much more important than it turned out to be. I think in future editions of the game that we’ll get back to this being key. We made our characters too complex. We stuck too closely to the d and d style character sheets. All we needed it seems is for a character to have a name, a job/guild and a stat block. We used the jobs/guilds to break the students into groups based on what they thought their strengths were in the class. For example, each party (an RPG term for a group/team) is three to four members from different guilds – engineers, mathematicians, librarians & reporters. The players didn’t have to be experts in these areas – just where they were more comfortable and could start to take leadership roles there. The Stat Blocks were a set of five stats that were subject relevant. The players could start with a 5 in each stat or break up a total of 25 based on what they thought their strengths were. The Stat Block was vital to the game. The stat block was a self-reflective tool. Whenever the players leveled up or completed certain tasks they were able to add points to the skills in their stats where they felt they’ve improved. The Cornerstone of the game was the XP and leveling system. XP stands for experience points. XP is how a player shows they are progressing through the game, it is a way of marking their achievements. When a player gains enough XP they move to a new level – they level up. The XP and level system is the toughest part of a game to get right. Even after quite a lot of tweaking, I feel as though it still isn’t balanced quite right. The coolest thing about this though is that XP are accretive. Players can only gain XP they can’t lose XP (except in special circumstances). Players can monitor their growth and progress through the course in a very explicit way. It is a rewarding process for those who do work when contrasted to a punitive process for those who don’t do their work. The hope here is to promote a positive and growth-mindset when it comes to player’s learning – they can always get better. So how does a player gain XP? Do things. That simple. Each task that students complete gains them XP. The XP are linked to their end of semester grade and the tasks fall into several categories. Core Videos: These are videos for the flipped classroom that must be done to progress. These are the lowest level of quests (tasks) as far as XP are concerned although more can be gained by asking questions or answering the questions of their peers. Side Videos: These are videos that are supplementary and aren’t required to progress through the game. 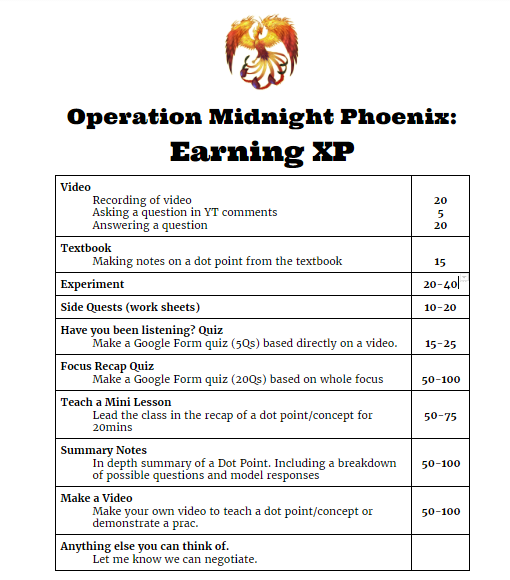 XP rewarded for these activities are higher than Core Videos. Core Quests: These are all compulsory tasks. Core Quests need to be done and are worth more XP than videos. For our classes, these included presentations, experiments, research tasks, etc. The XP were weighted (hopefully) according to the time required to take. Side Quests: These were tasks that were extra on top of the Core Quests. The XP were weighted the heaviest for these tasks. Core Videos fit under the Bloom’s category of Understand and Remember. Side Quests tended to fall under Analyse, Apply, Evaluate and Create. 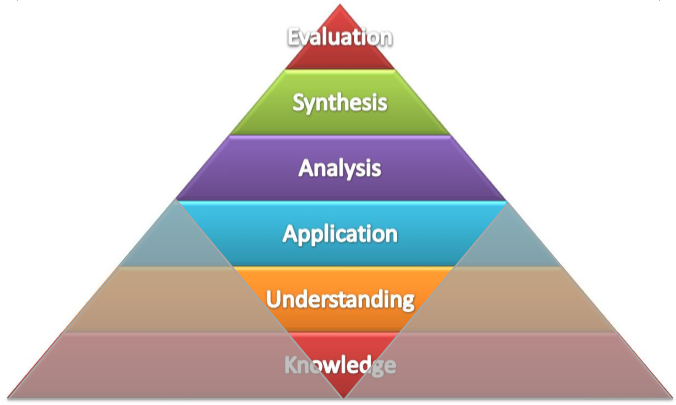 Bloom’s Taxonomy in the Flipped Classroom looks more like a diamond than a pyramid. Not quite a Dimaryp. XP were originally recorded for each class in a google spreadsheet. The students had access to this spreadsheet that allowed them to keep track of the work that they had or hadn’t done. When a player levels up they gain HP (hit points) and items. While obviously, we hope the students will do the work we set for good intrinsic reasons, this won’t always realistically be the case. HP, also known as Hit Points, are the class’ discipline system. Players start at Level 1 and have limited HP. If a student breaks a rule then they lose a corresponding amount of HP. Early on in the year, when a teacher might need to be more strict Player Death comes a bit quicker. Player Death occurs when they are attacked in Mob Attacks and their HP falls below zero. At zero HP a student receives a punishment we called this a Throw of Woe. We used a D12 (twelve-sided die) with punishments of various severities (extra tasks, class presentations, clean a lab, loss of XP and a 1/12 chance of completely escaping any punishment – the mighty hammer of justice misses this time). Players receive items and powers that they can use in class whenever they level up or complete certain tasks. Generally, gamification has resulted in higher intrinsic reward in players’ education but this has provided a buff in the terms of extrinsic reward. So now that we’ve got a rough idea of what the game should look like it was time to map the syllabus to the game. For us, this meant a Quest Log/Quest Book. So we got to planning. We looked at our syllabi and worked out the outcomes that needed to be mastered to be competent in our subjects and mapped them into a running order. Next, we planned our videos and activities which needed to meet these standards at a minimum. These made up our Core Quests and Core Videos. Side Quests were made up of the extra tasks that could (hopefully) lift you from an average student to an A-Level student or a L337 Player. This is where we feel that this system works well for Mastery. Just as Mario can’t rescue the Princess in his slightly heteronormative display of rescuing a damsel in distress without passing all the obstacles – neither can the students in our game. Although, ladies are encouraged to be their own saviours in Operation Midnight Pheonix. Just as Mario can’t move on without passing all the obstacles – neither can the students in our game. Boss Battles are how we solved this problem. Players must defeat Mini-Bosses and Epic Bosses. Mini-Bosses occur in the middle of the unit and they are signposts along the way. To move on to the next sub-level of the game you have to beat it by scoring 75% or above. Players must show mastery. The same for the end of each Level where the players battle the Epic Boss. Boss Battles are essentially Google Forms that are set up as quizzes. Here is a short video on how to do this. The new format of Google Forms allows them to be graded individually within the user interface. It is an absolute dream. Grading can be done automatically (with pure multiple choice) or as a combination of automatic marking and teacher grading giving individual feedback. It is very easily done on a clean and easy to read interface. The results can then be forwarded out with individualised feedback to the students. They know what they need to work on to master this level. Boss Battles like this are great – students always see that they can get better. Losing a battle is a chance to lick your wounds and work out how you can beat it next time. That’s the awesome sauce here with gamification. Students don’t go backward – only forwards. If you have any questions or we can help you out with anything at all in setting up your own gamified classroom comment below and we’ll get back to you as soon as we can.